You wouldn’t dream of running a marathon without undergoing months of training. Or heading into the wilderness without making sure you have adequate provisions. Or betting your life savings on a business venture you haven’t thoroughly researched. But when it comes to entering retirement—when a failure to plan can have devastating consequences—a surprising number of people are unprepared. More than half of workers older than 55 haven’t developed a plan for paying themselves in retirement, according to a recent study by Ameriprise, and almost two-thirds haven’t identified which investments they’ll tap first. 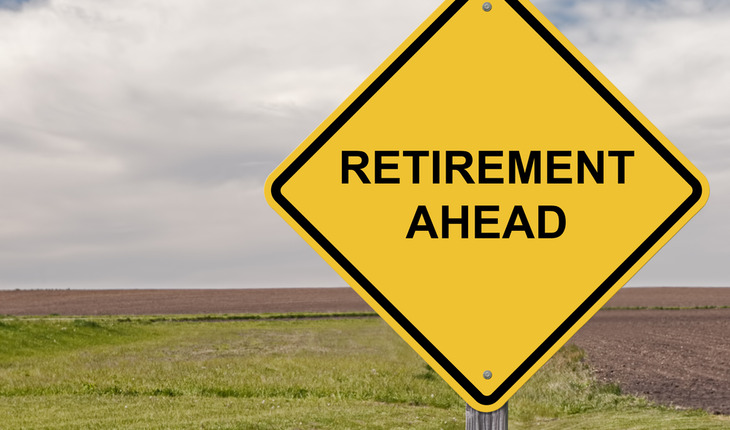 Many wait until they’ve set their retirement date to put together any kind of plan at all. Planning late is better than never planning, but your chances of a secure retirement will improve if you start making decisions and checking items off your to-do list at least a year out. Among the issues you’ll face: how and when to sign up for Medicare and Social Security, how much income you’ll need for essential expenses, and how to take advantage of employer benefits before walking out the door. Part B covers outpatient care, including doctors’ visits. It costs $121.80 a month for singles with an adjusted gross income (plus tax-exempt interest) of $85,000 or less ($170,000 for couples) who sign up in 2016. Above those income levels, you’ll have to pay $170.50 to $389.80 per month. You’ll also have to pay a surcharge of $12.70 to $72.90 a month on top of the premium for Part D prescription drug coverage (see below). If you don’t sign up for Part B during the seven-month window around turning 65, and you do not have coverage through your current employer, you may have to pay at least a 10% penalty on premiums permanently when you do sign up. If you work for a company with fewer than 20 employees, your group coverage generally becomes secondary to Medicare at age 65, so you should sign up for both Part A and Part B—otherwise, you may not be covered at all. Employees of larger companies can choose to keep group coverage while still working and hold off on signing up for Part B. But you must sign up for this coverage within eight months of leaving your job or, once you do enroll, you’ll pay at least a 10% penalty on premiums for the rest of your life. Medicare doesn’t cover everything: You may want to pick up a Medicare supplemental policy (medigap), which fills in gaps in the coverage that Medicare offers, as well as a Part D policy, for prescription drugs. There are 10 types of medigap policies, each identified by letter; the average price for the most popular, Plan F, is $172 a month, according to Weiss Ratings, which provides financial strength ratings for insurers. As for Part D, the average monthly premium is $34 in 2016. Rather than combine three plans, you could join Medicare Advantage, offered by private insurers. Advantage plans cover the same services as Medicare and include prescription drugs. They typically have lower premiums than a Part B/Part D/medigap combination but higher co-payments and more restrictions (see Get the Most Out of Medicare). In a separate column, list discretionary expenses, for costs such as travel, entertaining and dining out. Note that some expenses will go down or disappear when you’re no longer working—you won’t be paying payroll taxes or saving for retirement, and your wardrobe will cost less when every day is casual Friday. But some expenses, such as for travel and health care, could also go up. Paul and Bonnie Blanton, of Escondido, Calif., had a wonderful first year of retirement, with sojourns in Paris, Palm Desert and Panama, but they discovered that their travel costs were higher than they had expected, and they hadn’t considered one-off costs, such as airplane tickets to visit a sick relative. Their advice: Add 10% or 20% to whatever you’ve determined your total costs will be. Once you’ve identified your fixed, essential expenses, match them to your resources. Ideally, guaranteed income—Social Security and maybe a pension or an annuity—will cover the basics. If not, you’ll have to use your retirement savings to close the gap, as well as to cover the nonessentials. If your nest egg seems too skimpy to go the distance, better to know that before you leave your job, says Joe Tomlinson, a CFP in Greenville, Maine. “You don’t want to think later, I wish I’d worked another three years.” Working longer not only lets you continue to save for retirement but also means you have fewer years in retirement to finance, and it helps you delay taking Social Security. You can sign up for benefits as early as age 62 (full retirement age is 66 for people born between 1943 and 1954). But by claiming early, your benefits will be reduced by about 25% to 30% of the amount you’d get at full retirement age. For every year you postpone taking benefits after full retirement age until you hit age 70, you get an 8% boost. If you think you have a less-than-average life expectancy (83 for 65-year-old men; 85 for 65-year-old women), or if you know you’ll need the income to make ends meet, you’ll probably take the money when you reach full retirement age, if not before. But if you have reason to think you’ll live into your nineties or beyond and that your savings could fall short, “draw down your IRAs, keep working—do whatever you have to do to get that 8% increase,” says Klein. Although the government recently axed two lucrative claiming strategies that mainly benefited married couples, couples still have more options than singles. But their decision is also more complicated. You can take your own benefit as early as age 62, or you can claim a benefit equal to at least 50% of your spouse’s benefit if it’s higher and your spouse has already claimed. Either way, you’ll get a lower benefit if you claim before full retirement age. If you’re divorced or widowed, you may also have access to benefits based on your spouse’s earnings, which may be a better deal than your own. For details, see Options Still Available for Couples to Boost Social Security Benefits. For years, you’ve concentrated on accumulating savings. Now the goal is to preserve your nest egg. You’ll still need to invest for growth to beat inflation and maintain spending, but you don’t want to risk losing a big chunk of your savings. A portfolio with 55% stocks, 40% bonds and 5% cash is a reasonable mix for near-retirees and retirees (see The Right Retirement Mix). More-aggressive investors might adjust the mix to 60% stocks and 40% bonds and cash; conservative investors could do the reverse. If you’re like many investors, you have some or all of your retirement money in a target-date fund, which starts almost entirely invested in stocks when you’re several decades away from retirement and grows more conservative as you near the target date (theoretically, about the time you retire). Now’s the time to take a look at the fund, if you haven’t already, to see if you’re comfortable with its risk level. Each fund arrives at its definition of conservative a little differently. Fidelity’s 2015 Freedom Fund, for instance, currently puts you at 57% stocks and 42% bonds and cash; Vanguard’s 2015 target-date fund sets the mix at 50% stocks and 50% bonds. Both funds continue to grow more conservative over the next several years. While you’re still bringing home a paycheck, consider how you want to draw down your savings once you have retired. One long-standing strategy is to use the 4% rule: You withdraw 4% in the first year of retirement and the same dollar amount, adjusted for inflation, every year thereafter. The percentage-plus-inflation-adjustment strategy provides a reasonable assurance that your money will last 30 years or so, based on historical returns, but it lacks flexibility. You could do irreparable harm to your retirement stash by following the rule during a bear market, especially if the markets tank at the start of retirement. A second approach is to take 4% of your portfolio and skip the inflation adjustment. This strategy technically ensures that you’ll never run out of money (small comfort if you end up with a fraction of a cent), but it’s “highly sensitive to the market,” says Colleen Jaconetti, senior analyst of the investment strategy group at the Vanguard Group. If the market goes south in a given year, so does your payout. Vanguard proposes a hybrid strategy in which you take a base percentage each year but set a ceiling on increases and a floor on decreases over the previous year to keep spending relatively smooth. A third approach, the bucket strategy, represents a different tactic altogether. In the first bucket you put enough cash, CDs and other short-term investments to cover one to three years of living expenses, after factoring in guaranteed income, such as Social Security. You fill the second bucket with slightly riskier investments, such as intermediate-term bond funds and a few diversified stock funds. The third bucket, for long-term growth, is devoted entirely to diversified stock and bond funds. As you spend down the first bucket, you eventually refill it with money from the second, and the second with money from the third. The purpose of this strategy is to avoid being forced to sell investments in a down market to fund living expenses. Setting up a bucket system takes careful planning. If you decide to go this route, start positioning your assets now (or better yet, a few years ahead of retiring). Target-date funds don’t lend themselves to the bucket approach because each withdrawal represents a piece of the whole pie. If you’re lucky enough to be eligible for a pension, you’ll probably be offered the choice between a lump sum and guaranteed lifetime payments. With the guaranteed payments, you’ll have the security of knowing they will last as long as you do. With a lump sum, you can invest the money yourself and potentially end up with more than you’d draw from a pension over your lifetime. Plus, you have access to the entire amount from the get-go, and whatever remains in the account when you die goes to your heirs. On the downside, your investment won’t necessarily do better than the total amount of the payouts, especially if the market performs worse than you anticipate or you live longer than you expect. To estimate which choice offers you the biggest potential payout, you’ll have to figure out the returns you’ll need from the lump sum to re-create the pension’s stream of income over your expected life span, says Michael Kitces, a CFP who’s a partner and director of wealth management at Pinnacle Advisory Group. If you think you can reap the same paycheck by investing the money at a doable 4% over 25 years, taking the lump sum would be a reasonable choice—unless you expect to live beyond those 25 years (maybe your parents and grandparents all lived to be 100), in which case “the pension looks like a pretty good deal,” says Kitces. The same goes if you’d need to earn 8% on your money to create the same income stream. Married couples who choose lifetime payouts face another decision: whether to take the single-life option or the joint-life option, which has lower payouts to reflect the longer time over which the pension is likely to be paid out before the surviving spouse dies. Most couples choose joint life, which is the default option; you both must sign off if you choose single life. The minimum payout for joint life is 50%, although some plans let you choose a higher percentage—say, 75%—for a commensurately lower payout from the beginning. No matter who dies first, the reduced benefit usually kicks in for the survivor. You could use a chunk of your own savings to buy yourself a pension, in the form of an immediate or deferred-income annuity. These products also guarantee lifetime income, but the key word is lifetime: Unless you buy a costly rider, the payouts stop when you die, even if it’s the month after you start getting the paycheck. Plus, buying an annuity means giving up liquidity. Don’t put all your retirement assets in this basket. One approach, says Tomlinson, is to invest enough so that the payout combined with Social Security and any other guaranteed income will cover your fixed expenses. To beef up the payout, you could ladder your annuity purchases, with the expectation that interest rates will rise over time (even if they don’t, the older you are when you buy the annuity, the bigger the payout). Or spring for a deferred-income annuity now and collect the payout 10 to 20 years down the road. In exchange for your patience, the insurer will fork out much more—in the case of the 66-year-old man, about $1,300 a month if he collects 10 years out. You can use up to $125,000 or 25% of your IRA or 401(k) account balance, whichever is less, to purchase a deferred-income annuity called a QLAC. And you won’t have to take required minimum distributions at age 70½ on what you paid for it. This article originally appeared on Kiplinger’s Personal Finance. Jane Bennett Clark, Senior Editor at Kiplinger’s Personal Finance, covers all facets of retirement and writes a bimonthly column that takes a fresh, sometimes provocative look at ways to approach life after a career. She also oversees the annual Kiplinger rankings for best values in public and private colleges and universities and spearheads the annual “Best Cities” feature. Clark is a graduate of Northwestern University.